Every year, the Vancouver International Film Festival provides audiences with a bounty of East Asian cinema as part of the Tigers and Dragons program and this year is no exception. Among the 48 films in the section, a mix of 14 features and shorts hail from South Korea. There will be seven Korean features in the Tigers and Dragons section this year. The documentary 9 Muses of Star Empire exposes the dark side of the K-pop industry by demonstrating the trials and pressures of the members of the band 9 Muses. PARK Hae-il, KONG Hyo-jin and YOON Je-moon play middle-aged siblings coming back under one roof in SONG Hae-sung’s Boomerang Family. KIM Soo-hyun’s experimental Burn, Release, Explode, The Invincible debuted during the Jeonju International Film Festival this spring. PARK Ki-yong returns to the screen with his new documentary Garibong, which explores Korea’s immigrant community. Lebanon Emotion is the promising debut of JUNG Young-heon, from this year’s Jeonju. LEE Jung-jae, CHOI Min-shik and HWANG Jung-min face off in PARK Hoon-jung’s gangster saga New World. HONG Sangsoo recently won the Silver Leopard (Best Director) from the Locarno International Film Festival for his new feature Our Sunhi. Meanwhile, another seven shorts will also be on offer. These include: Jury, the debut film by Busan International Film Festival founder and honorary director KIM Dong-ho, which also feature Tony Rayns; The Line, KIM Soo-jin’s short that was invited to the Cannes Film Festivals’ Cinefondation section earlier this year; LEE Hyung-suk’s Two Boys and a Sheep, which won the Best Korean Short Film and Citizen’s Choice for Short Film awards at this summers Puchon International Fantastic Film Festival (PiFan); Hard to Say, from Romance Joe director LEE Kwang-kuk; PARK Chai-young’s Wedding March; SEO Won-tae’s I Have Nothing to Lose; and SHIM Hyun-seok’s Dinner. Curated by Tony Rayns, a longtime supporter of Korean cinema with ties to the country for over 25 years, the section hands out the Dragons and Tigers Award for Young Cinema to films from visionary new talents. Past Korean works that have received the honor include the debuts of HONG Sangsoo (The Day a Pig Fell into the Well, 1996), LEE Chang-dong (Green Fish, 1997) and JANG Kun-jae (Eighteen, 2010). 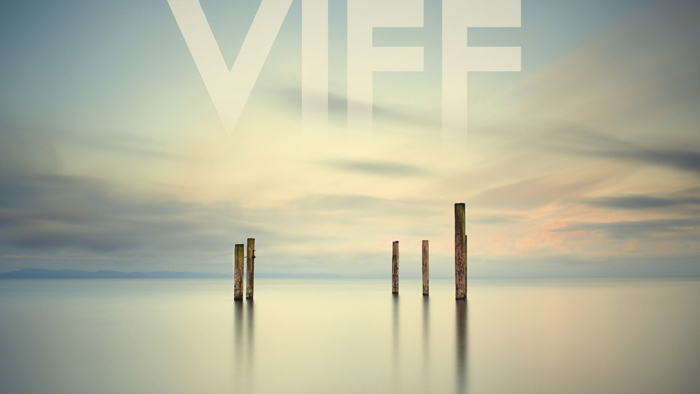 This year’s Vancouver International Film Festival will take place from September 26th to October 11th.